“In May 2009, my husband and I bought a hot tub from Olympia Hot Tub Company in Lacey, WA. During the time we bought our hot tub the company had a special where you would receive a 4 night cruise certificate for the Bahamas, Western Caribbean, or Mexico. 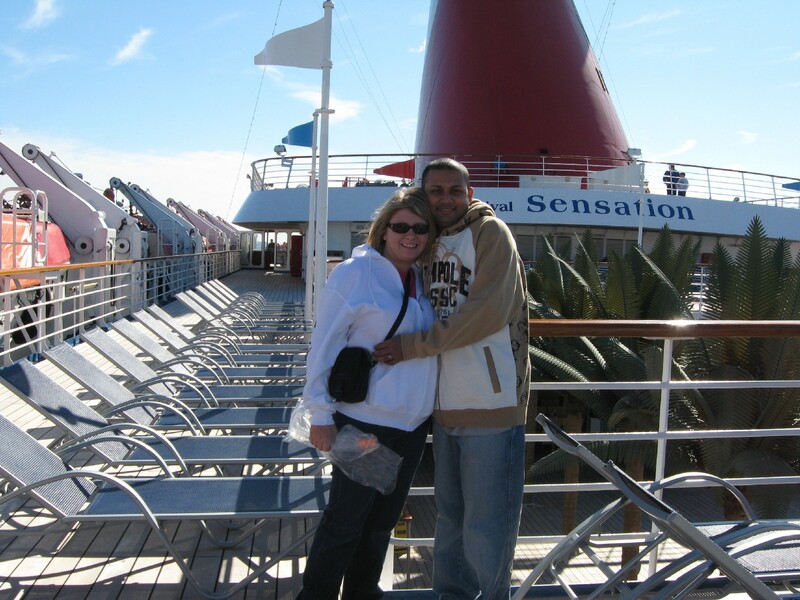 My husband and I chose to go to the Bahamas January 10, 2010 on the Carnival Sensation. We left from Port Canaveral, Florida on January 10 and came back January 14. The first full day of the cruise we spent docked at Freeport. In Freeport we spent the day shopping and lying around on the beach until we left for Nassau. We arrived at Nassau the very next morning and stayed until the following morning. In Nassau we checked out some of the local shops, went snorkeling in the afternoon, laid around on a private beach, and in the evening went out to a local restaurant to eat dinner. The third and last day we spent at sea on our way back to Port Canaveral. The cruise had different activities everyday of the cruise including dance lessons, bingo, how to make towel animals and much more. In the evenings they would have a show for everyone either a comedian or the sensation dancers would put on a Vegas type show. The ship also had casinos, dance clubs, restaurants and shops. You were never left with nothing to do on the ship. The food was as amazing as the entertainment and never ending. 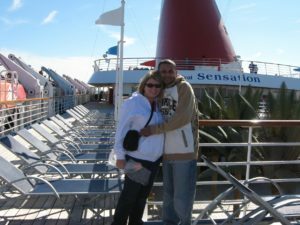 Thanks to Jessica & Avinesh for writing and sharing their cruise vacation. A hot tub and a cruise! What could be better? A cruise for the vacation of a lifetime and a hot tub for a vacation every day. It doesn’t get any better than that.